Every Christmas holiday season, I begin the search for the perfect family gift (which I am sure so many of you do too). Every Friday night we try to have a family game night, it helps us unwind after a busy week and we can re-connect over friendly competition and team work. We get to hear about the kid’s week at school and we can tell them a little bit about our week. For an hour or two there is no thought about work, what needs to be done around the house or worry about driving to extra-curricular activities. Not all family games are suited for bonding and unwinding. You need an activity that requires team work, encourages talking, has a goal and is not connected to an electronic (sorry for all you gamers!). 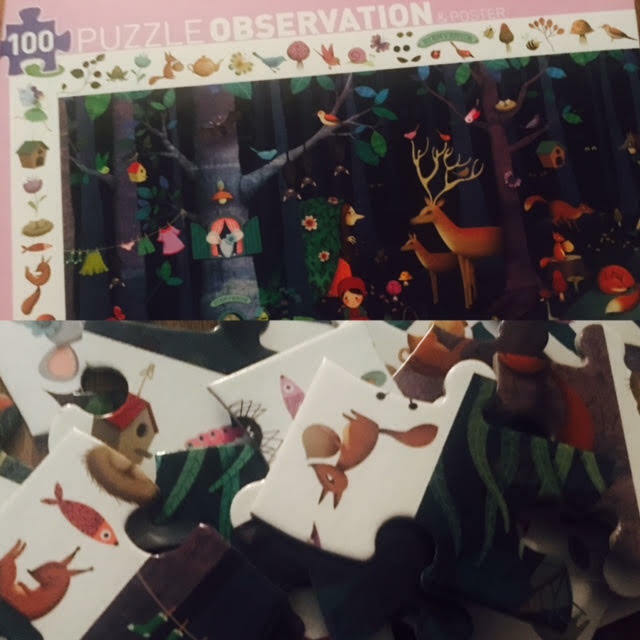 The Observation Puzzle Enchanted Forest fits all these must have requirements and more. 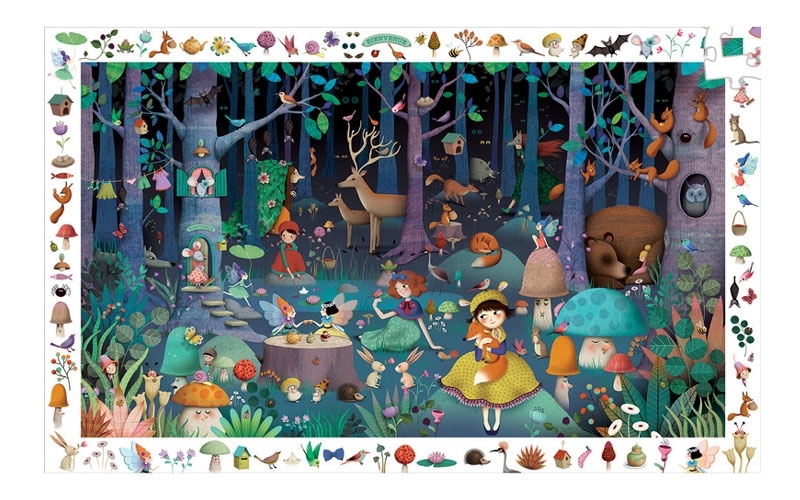 The Enchanted Forest has 100 puzzle pieces to put together as a family. 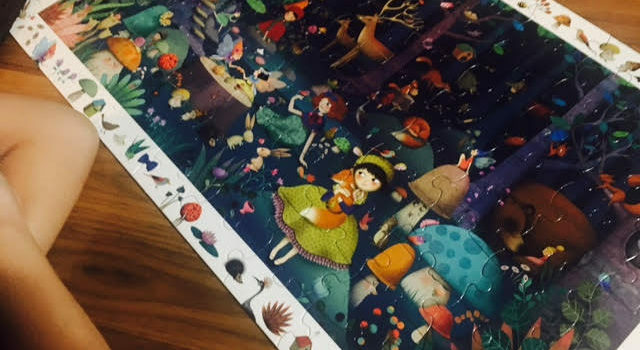 Once the puzzle has been put together around the edges are images of items that you will need to find inside the puzzle. We had a lot of fun putting this puzzle together. 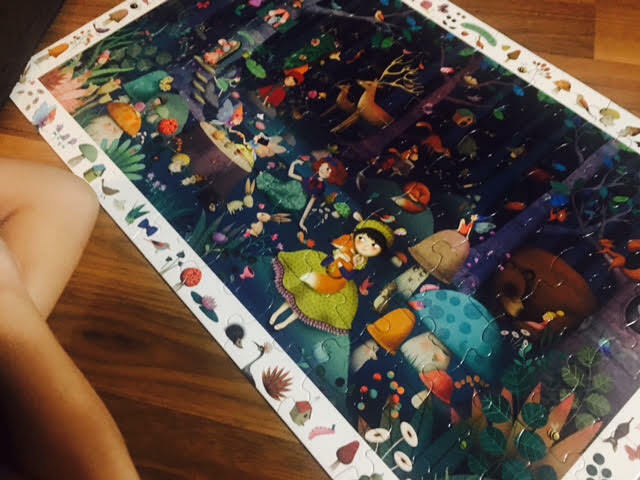 While it is a 100 pieces, the puzzle pieces are on the medium size so that little hands can put the puzzle together with just enough difficulty to help them with their fine motor skills. 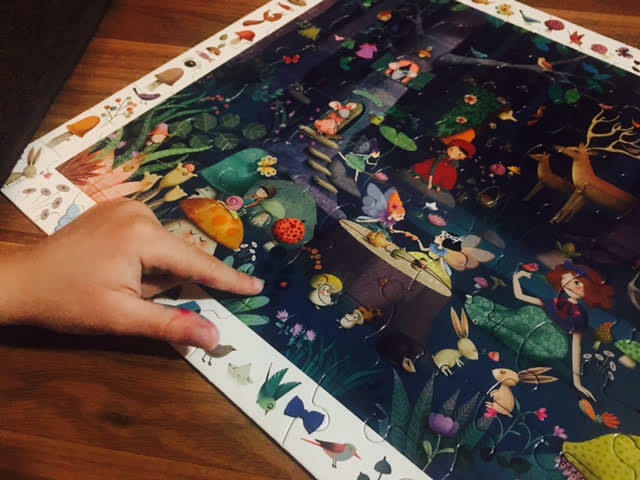 The box includes a large poster of what the finished puzzle should look like which helps you fit the pieces together. Once the puzzle was completed, your family can move onto the second challenge – find all the images on the outside white frame within the puzzle. Some of the images were easier to find while others really made you think. This was a great addition to this puzzle and added extra fun to this activity. You can even through some competition in this one – the person who finds the most items wins something special or gets to choose the family movie. You can find more information on the Observation Puzzle Enchanted Puzzle on iLo307. The puzzle can be purchased at specialty toy stores and select book stores across Canada. The puzzle sells for $19.99 CDN. What is your favourite product to purchase for a family gift? This entry was posted in children, Christmas, gifts, gifts for kids, review.